Anvil Metal Countertops were featured in two displays at the Architectural Digest Design Show 2016 last week in New York. Grothouse was honored to have been included in the Plain & Fancy Cabinetry booth and the Rutt HandCrafted Cabinetry booth. 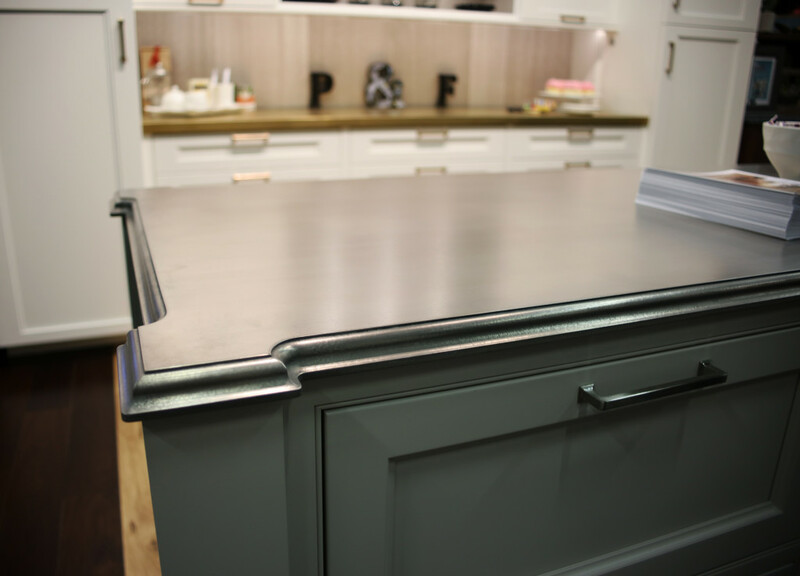 Pictured below is a Magnum metal countertop that was featured in the Plain & Fancy Cabinetry display. 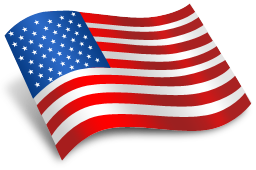 Magnum is a metal coating that reflects the appearance of a brass countertop. 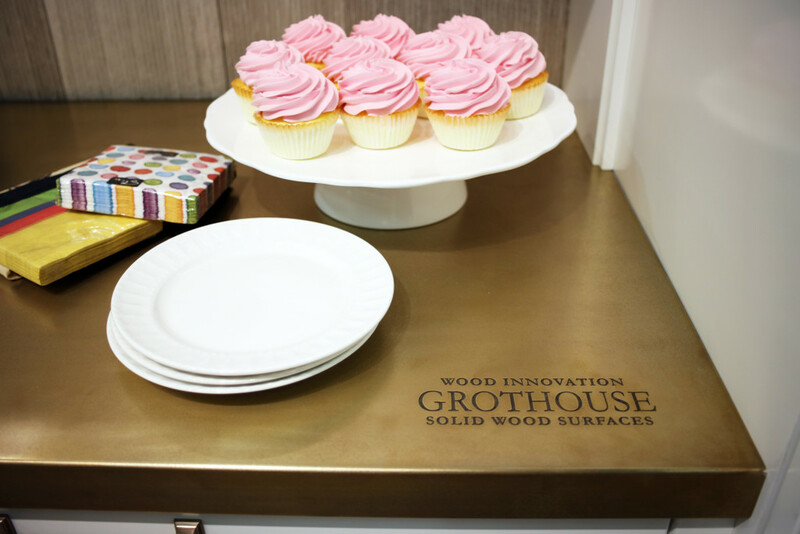 The Magnum countertop included laser engraving of the Grothouse logo. 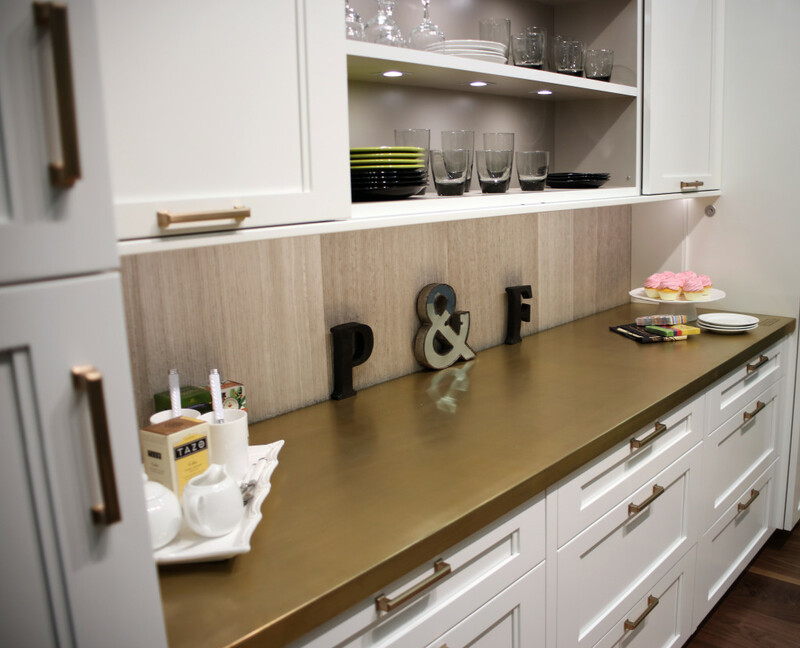 The Plain & Fancy Cabinetry booth also included a Palladium metal countertop. The Palladium metal coating reflects the appearance of a white gold countertop. 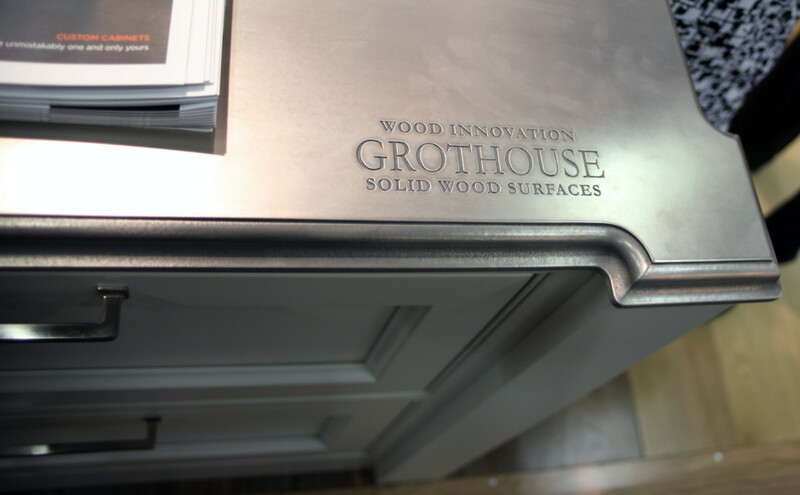 The Palladium metal countertop featured the Standard Roman Ogee edge profile and laser engraving of the Grothouse logo. 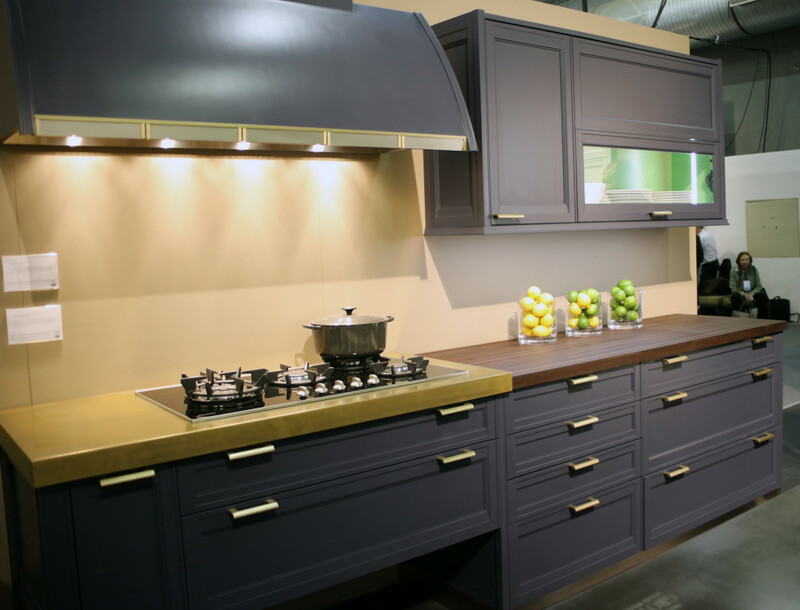 The Rutt HandCrafted Cabinetry booth featured a Magnum metal countertop that included a Miele cooktop. The Magnum countertop was paired beautifully with a Grothouse edge grain Peruvian Walnut Countertop. 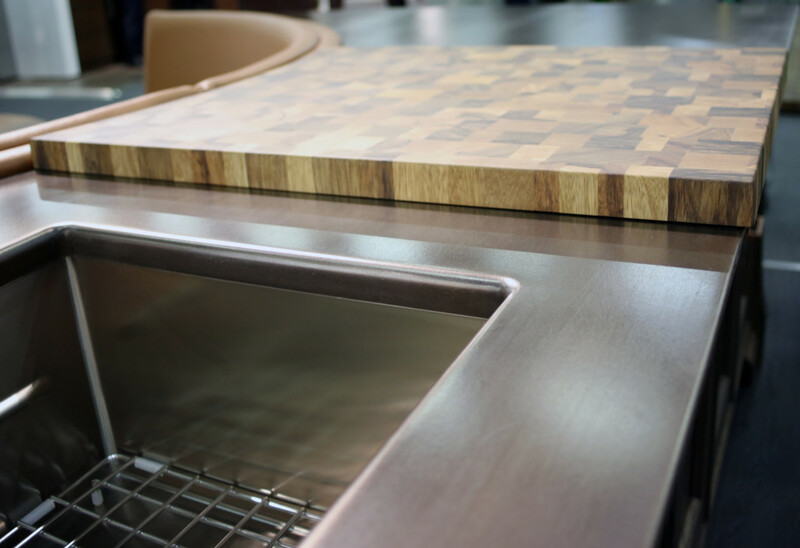 The Peruvian Walnut Wood Countertop was finished with Grothouse Original Oil™. 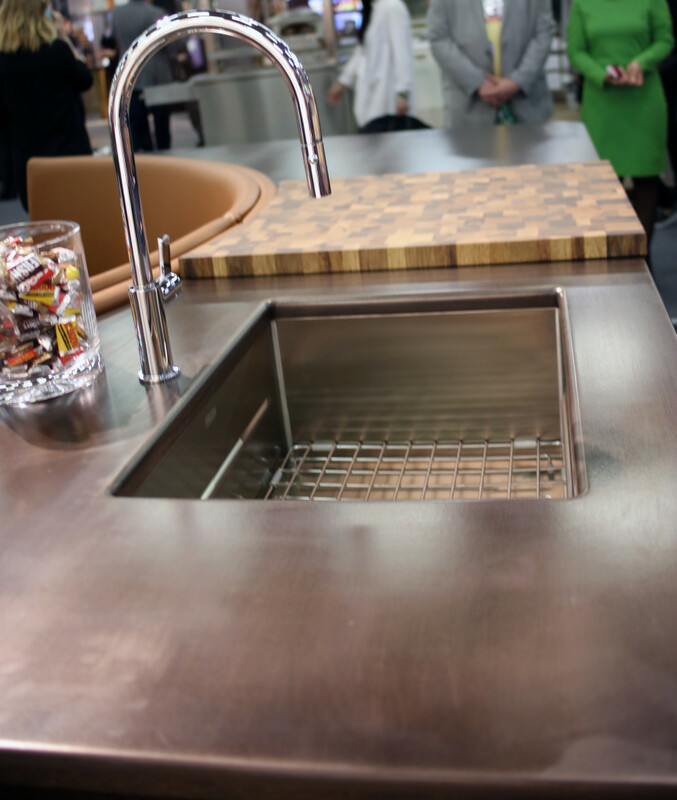 The Rutt HandCrafted Cabinetry booth also featured an Exodus metal countertop. The Exodus metal countertop was crafted to include an undermount Franke PKX11021 sink and Franke FF3100 faucet. Also featured in this display was an end grain Saxon Wood™ butcher block. The butcher block is finished with Grothouse Original Oil™. Visit our Facebook page to see more photos of the Grothouse countertops in the displays from the #ADDS2016!